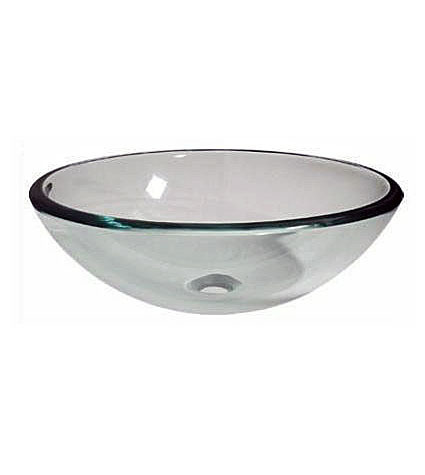 Clear double tempered glass vessel sink bowl (7081), BathImports 70% off Vessels, Vanities, Shower Panels. 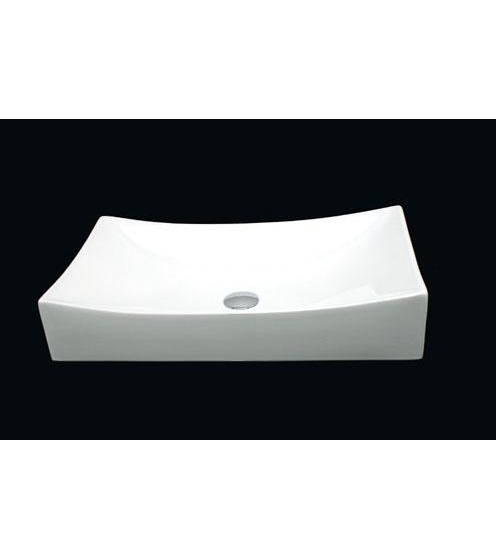 For a sophisticated, contemporary look without the cost, this vessel has the attributes of a higher priced piece. 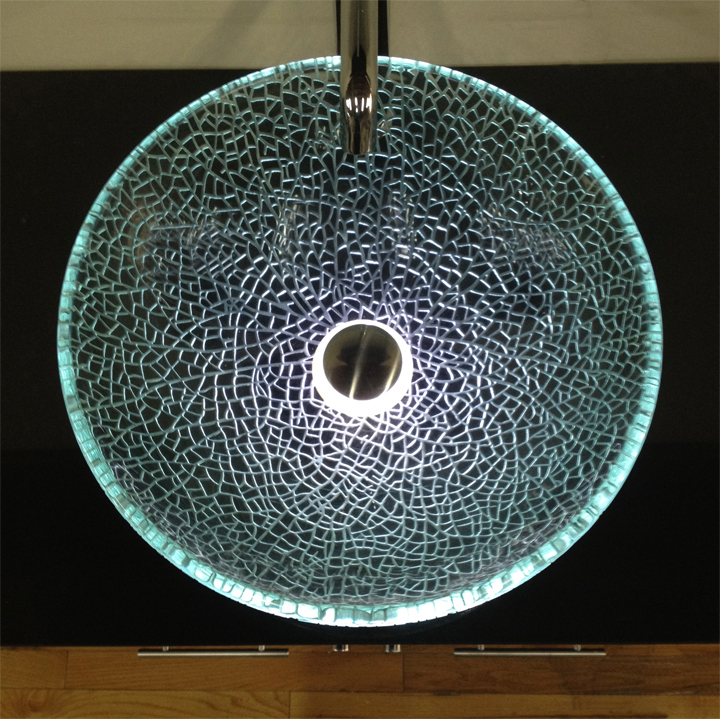 The clear glass vessel, at .7” thickness, is .2” thicker than most comparable vessels on the market. Looking down the rim, appears to have a green “tint” - characteristic of thicker glass.